To exceed client expectations through timely delivery of quality engineering services and trusted relationships with our team. Attract, develop and support outstanding professionals and support staff and provide a work environment that inspires exceptional performance through a rewarding culture of teamwork and mutual success. TREK Geotechnical Inc. is an employee-owned consulting firm that provides professional engineering services in the geotechnical and hydrotechnical disciplines. While our approach to engineering is based on sound engineering principles and rigorous analysis, our approach to business is centered on cultivating employee and client trust. Our business advantage is our people and we continue to develop their talents to serve our clients at the highest level. 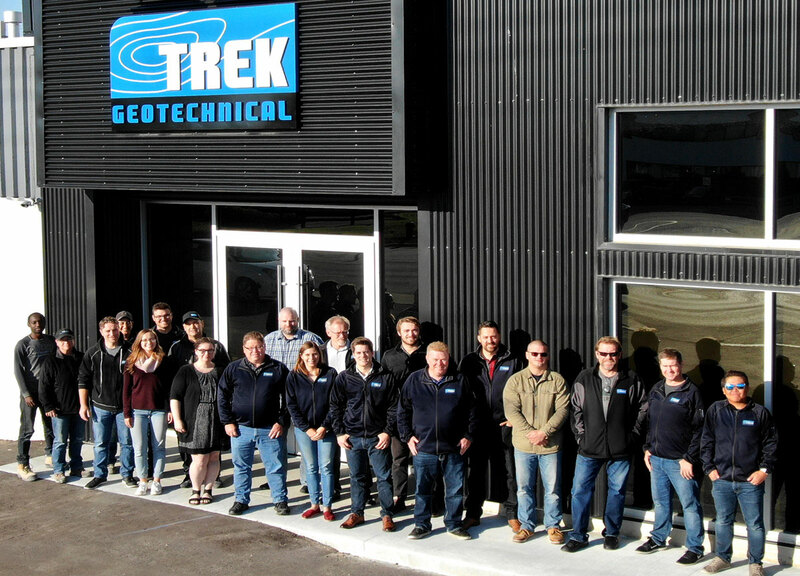 TREK’s team has grown from three founding partners in 2010 to team of over 30 professional engineers, technicians and support staff who provide a full range of investigation, design, and construction review services in the geotechnical and hydrotechnical fields. Our company is based in Winnipeg, Manitoba. Find out more about our managers and key staff here. TREK’s broad range of clients include multi-disciplinary consulting firms, government agencies, contractors and developers. We have considerable depth in the transportation infrastructure sector and have expanded to offer a broad range of geotechnical and hydrotechnical services in a number of industry sectors. Learn more about our market sectors here. Our geotechnical services range from feasibility and preliminary engineering studies involving sub-surface investigations and monitoring, to detailed design and construction inspections involving specialized numerical analysis and field testing services. We apply a scientific approach to practice, evolving our understand of physical processes through measurement and analysis, verified through field inspection and confirmatory testing. Our focus is on managing ground risks for our clients to ensure project success. Learn more about our geotechnical services here. Our water resources services include hydrologic analysis and hydraulic modeling for open-channel flow, bridge and culvert design, shoreline erosion protection and the design of water control structures and operational optimization. For issues related to the conveyance of water, we can help. Learn more about our services here. As a complement to our consulting services, TREK operates a geotechnical testing laboratory, offering a wide range of soil and aggregate testing, field compaction and advanced laboratory testing. We service the testing needs of our engineering projects, and also provide service to the construction industry. This allows us to provide a higher level of understanding of the ground conditions for our clients with the ability to evaluate materials behavior within our core engineering operations. Learn more about our materials and construction services here.